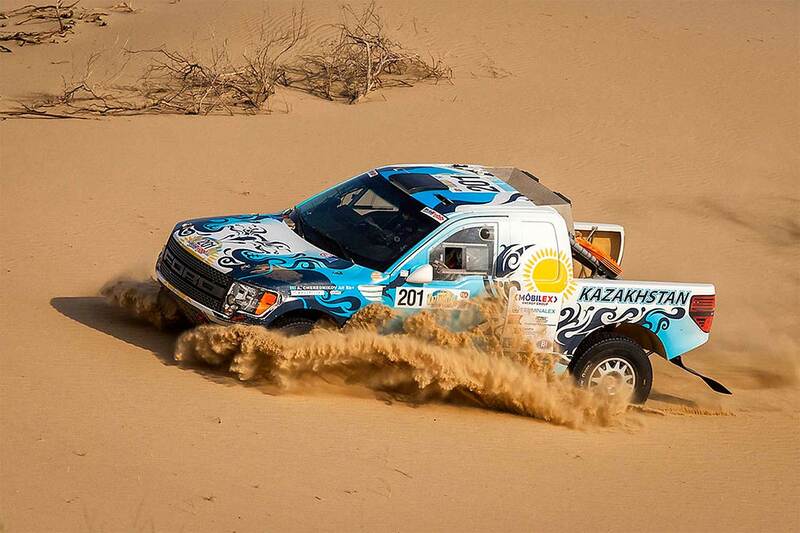 The Automotorsport Federation of the Republic of Kazakhstan (AMFK) is relishing what promises to be a gripping contest for honours in the forthcoming Rally Kazakhstan, the fifth round of the FIA World Cup for Cross-Country Rallies from May 27 until June 2. Poland’s Jakub Przygonski will arrive at Aktau City in western Kazakhstan with a 31-point lead over Czech driver Martin Prokop and a 33-point advantage over Russia’s Vladimir Vasilyev, with defending FIA World Cup champion Nasser Saleh Al-Attiyah (who had to retire in Qatar and din´t start in Dubai and Abu Dhabi) down in eighth position and knowing that outright victory on the Central Asian round of the series is an absolute must. "I really enjoyed competing in Rally Kazakhstan for the first time last season," said Al-Attiyah. "Not only was it an important victory for me but the stages were varied, challenging and not easy. I had been to Kazakhstan before with the Silk Way Rally but this area was new to me. I understand there have been some changes this year as well, but I know that I have to win here now. What happened in Qatar was disappointing, but that is motor sport." Meanwhile, the legendary Team Kamaz Masters has confirmed that it will send two trucks to the event for the first time. 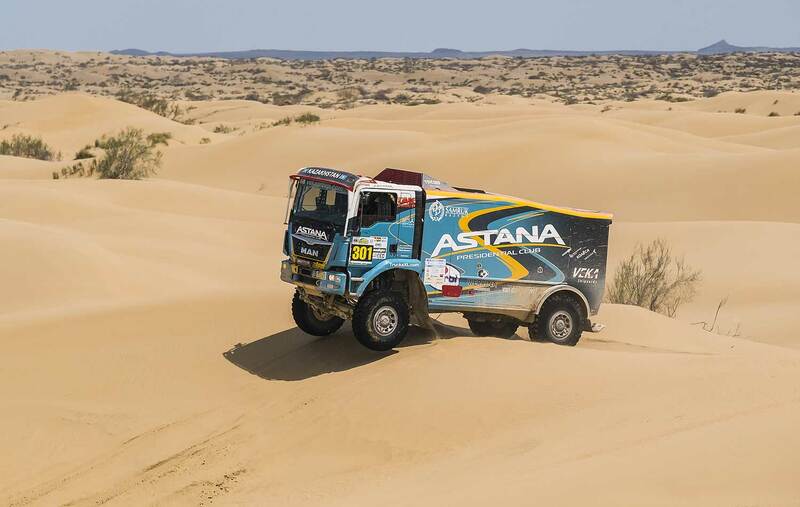 The Russian team has a record-breaking 12 victories in the gruelling Dakar Rally, finished in a stunning 1-2-3 lock-out of the podium in 2013 and also won all of the 14 special stages at the event in 2010. Another boost to what promises to be a fascinating contest across the vast wastelands of the world’s ninth largest and biggest land-locked country is the news that the British driver Harry Hunt will take part in a Peugeot 3008 DKR. 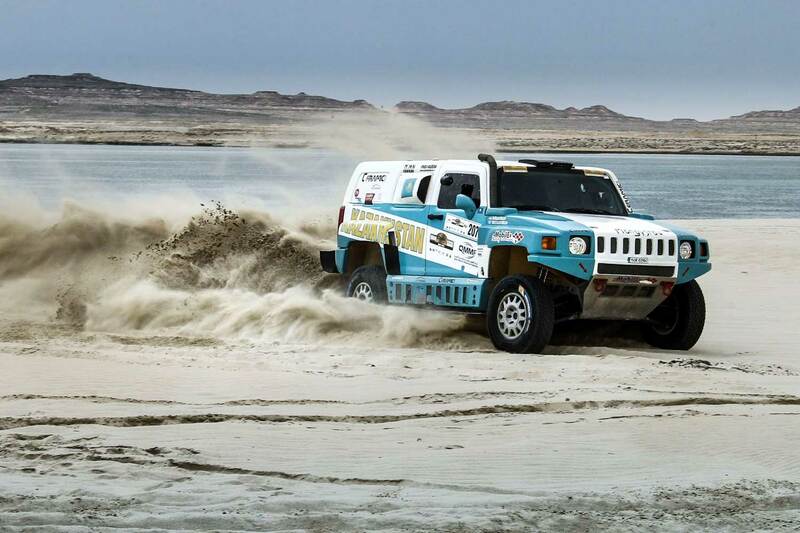 The car will be managed by the French PH Sport team that looked after Khalid Al-Qassimi’s car at the Dakar Rally in January. Hunt, 29, became the youngest British driver ever to take part in the event in 2016 when he finished 10th overall in an X-raid Mini. He also participated in the International Rally Challenge (IRC) and won the two-wheel drive category in 2010 and 2012. In this year he started at the Abu Dhabi Desert Challenge, but rolled his Peugeot DKR and had to retire. Entries officially close on May 18. Competitors are reminded to place accommodation requests in good time and also to liaise with rally officials on specific fuel requirements. The event will be based at the Caspian Riviera Grand Palace Hotel in Aktau City and the event’s Service Park will be located just 50 metres away. Entry details and the latest supplementary regulations are available on the official website (see link under this article).